Karl Marx: His Life and Environment, Thornton Butterworth, 1939. 5th ed., 2013, Princeton University Press. Karl Marx: Elämäkerta. Jokamiehen korkeakoulu 28. Helsinki: Otava, 1968. Concepts and Categories: Philosophical Essays. Edited by Henry Hardy. Hogarth Press, London 1978. 2nd ed. Princeton University Press, Princeton, New Jersey 2013. ‘The Purpose of Philosophy’ Insight (Nigeria) 1 no. 1 (July 1962), 12–15. ‘Verification’ Proceedings of the Aristotelian Society 39 (1938–9), 225–48. ‘Empirical Propositions and Hypothetical Statements’, Mind 59 (1950), 289–312. ‘Logical Translation’ Proceedings of the Aristotelian Society 50 (1949–50), 157–88. ‘Equality’ Proceedings of the Aristotelian Society 56 (1955–6), 301–26. The Concept of Scientific History. ‘History and Theory: The Concept of Scientific History’, History and Theory 1 (1960). 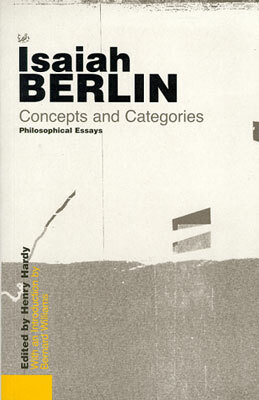 Reprinted in Concepts and Categories: Philosophical Essays. Edited by Henry Hardy. Hogarth Press, London 1978. Historiantutkimuksen tieteellisyydestä. Teoks. Isah Berlin. Vapaus, ihmisyys ja historia. Suom. Timo Soukola. Gaudeamus, Helsinki 2001. Onko enää mitään politiikan teoriaa? Teoks. Isah Berlin. Vapaus, ihmisyys ja historia. Suom. Timo Soukola. Gaudeamus, Helsinki 2001. From Hope and Fear Set Free. 1963. Presidential Address, Proceedings of the Aristotelian Society 64 (1963–4), 1–30. Is a Philosophy of History Possible? 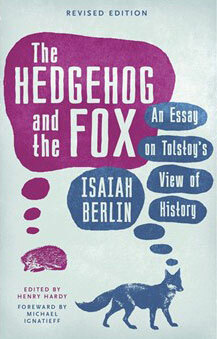 The Hedgehog and the Fox: An Essay on Tolstoy’s View of History. Weidenfeld and Nicolson. London 1953. ‘Lev Tolstoy’s Historical Scepticism’, Oxford Slavonic Papers 2 (1951), 17–54. Two Concepts of Liberty 1958. An Inaugural Lecture as Chichele Professor of Social and Political Theory. 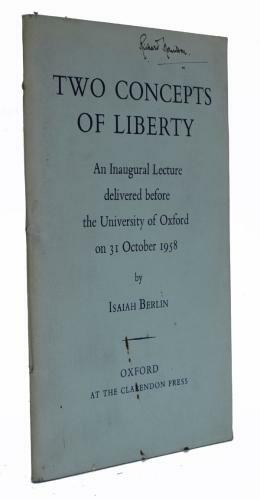 Delivered before the university of Oxford on 31.10.1958. Published by Clarendon Press, Oxford 1958. Kaksi vapauden käsitettä. Teoks. 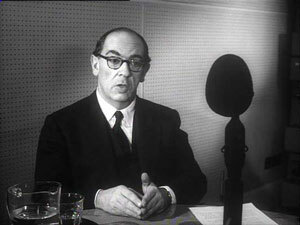 Isaiah Berlin. Vapaus, ihmisyys ja historia. Suom. Timo Soukola. Gaudeamus, Helsinki 2001. ‘Political Ideas in the Twentieth Century’, Foreign Affairs 28 (1950), 351–8. Historical Inevitability. Orig. History as an Alibi 1954. Auguste Comte Memorial Trust Lecture no. 1. John Stuart Mill and the Ends of Life. Robert Waley Cohen Memorial Lecture. Council of Christians and Jews, London 1959. The Birth of Greek Individualism. A Turning-Point in Political Thought’, Common Knowledge 7 no. 3 (Winter 1998), 186–214. Vico and Herder: Two Studies in the History of Ideas. Hogarth Press London 1976. The Philosophical Ideas of Giambattista Vico’. In Art and Ideas in Eighteenth-Century Italy (Rome, 1960: Edizioni di Storia e Letteratura), 156–233. Expanded: Three Critics of the Enlightenment. ed. Henry Hardy. Princeton University Press; Princeton 2000; 2013. The Magus of the North. In J. G. Hamann and the Origins of Modern Irrationalism, ed. Henry Hardy. London, 1993.
Letters to Quentin Skinner on Vico, and to Gwen Griffith Dickson and Mark Lilla on Hamann. Edited Hardy and Kelly, with an introduction by Aileen Kelly. Penguin New York 1978. ‘Russia and 1848’. Slavonic Review 26 (1948), 341–60. ‘Herzen and Bakunin on Individual Liberty’ 1955. In Ernest J. Simmons (ed. ), Continuity and Change in Russian and Soviet Thought Cambridge, Massachusetts, 1955: Harvard University Press, 473–99. A Remarkable Decade. Originally A Marvellous Decade: Literature and Social Criticism in Russia, 1838–48’, Northcliffe Lectures for 1954. Russian Populism. Encounter 15 No1 (July 1960), 13–28. ‘Tolstoy and Enlightenment’ Hermon Ould Memorial Lecture for 1960. Encounter 16 no. 2 (February 1961), 29–40. Fathers and Children: Turgenev and the Liberal Predicament 1972. Romanes Lecture. Clarendon Press, Oxford 1972. 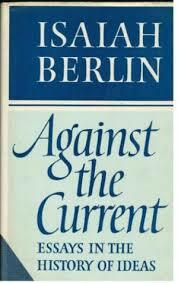 Against the Current: Essays in the History of Ideas, ed. and with a bibliography by Henry Hardy, with an introduction by Roger Hausheer. Hogarth Press, London 1979. Princeton University Press, Princeton 2001. The Counter-Enlightenment. Dictionary of the History of Ideas vol. 2 (1973), 100–112.Reprinted in Against the Current. Vastavalistus. Teoks. Isah Berlin. Vapaus, ihmisyys ja historia. Suom. Timo Soukola. Gaudeamus, Helsinki 2001. The Originality of Machiavelli. ‘The Question of Machiavelli’ . New York Review of Books, 4 November 1971, 20–32. Reprinted as ‘The Originality of Machiavelli” in Againts the Current. The Divorce between the Sciences and the Humanities. Second Tykociner Memorial Lecture (Illinois, 1974: University of Illinois), 34 pp. Reprinted in Against the Current. Vico’s Concept of Knowledge. ‘A Note on Vico’s Concept of Knowledge’. Giorgio Tagliacozzo and Hayden V. White (eds), Giambattista Vico: An International Symposium (Baltimore, : Johns Hopkins Press), 371–7. Vico and the Ideal of the Enlightenment. Social Research 43 (1976), 640–53. Montesquieu. Proceedings of the British Academy 41 (1955), 267–96. Reprinted in Against the Current. 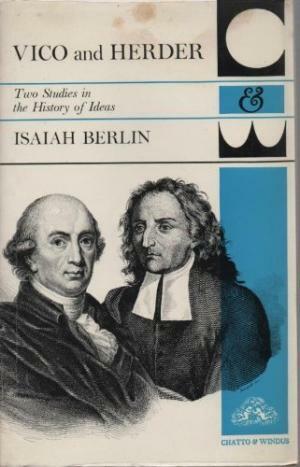 Hume and the Sources of German Anti-Rationalism. In G. P. Morice (ed. ), David Hume: Bicentennial Papers. 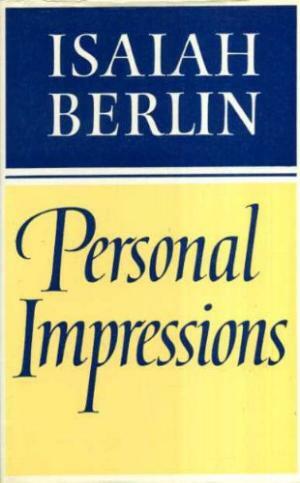 Edinburgh, 1977: Edinburgh University Press), 93–116. Herzen and his Memoirs. Originally introduction to Alexander Herzen, My Past and Thoughts: The Memoirs of Alexander Herzen, trans. Constance Garnett. London, 1968. Reprinted in Against the Current. The Life and Opinions of Moses Hess. Lucien Wolf Memorial Lecture. Heffer Cambridge 1959, 49 pp. Reprinted in Against the Current. 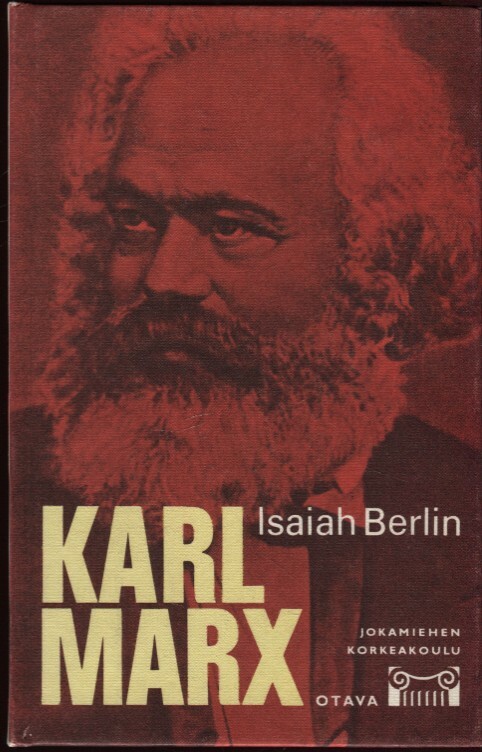 ‘Benjamin Disraeli, Karl Marx, and the Search for Identity’ In Transactions of the Jewish Historical Society of England 22 (1968–9). London 1970. Reprinted in Against the Current. The ‘Naïveté’ of Verdi. Hudson Review 21 (1968), 138–47. Georges Sorel. Creighton Lecture, The Times Literary Supplement, 31 December 1971, 1617–22. Reprinted in Against the Current. Nationalism: Past Neglect and Present Power. ‘El nacionalismo: descuido del pasado y poder actual’, Diálogos 14 no. 6 November/December 1978, 10–17. Personal Impressions, ed. Henry Hardy, with an introduction by Noel Annan. Hogarth Press; London 1980. 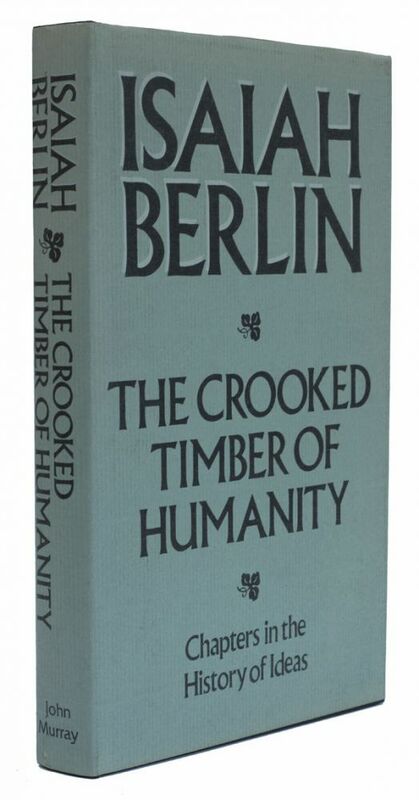 The Crooked Timber of Humanity: Chapters in the History of Ideas. Edited by Henry Hardy. John Murray, London 1990. The Pursuit of the Ideal. Giovanni Agnelli Foundation, Turin 1988. Ihannetta etsimässä. Teoks. Isah Berlin. Vapaus, ihmisyys ja historia. Suom. Timo Soukola. Gaudeamus, Helsinki 2001. The Decline of Utopian Ideas in the West. Lecture in Japan. Seio yutopia-shiso no suitai. Japan Foundation, Tokyo March 1978, 20 pp. : no. 6. Utopismin kuihtuminen länsimaisessa ajattelussa. Teoks. Isah Berlin. Vapaus, ihmisyys ja historia. Suom. Timo Soukola. Gaudeamus, Helsinki 2001. Giambattista Vico and Cultural History. In Cauman (eds), How Many Questions? Essays in Honor of Sidney Morgenbesser. Hackett Indianapolis, 1983. European Unity and its Vicissitudes. Fondation Européenne de la Culture. Amsterdam, 1959. The Apotheosis of the Romantic Will. ‘L’apoteosi della volontà romantica: la rivolta contro il tipo di un mondo ideale’, Lettere italiane 27 (1975), 44–68. Romanttisen tahdon korottaminen. Teoks. Isah Berlin. Vapaus, ihmisyys ja historia. Suom. Timo Soukola. Gaudeamus, Helsinki 2001. The Bent Twig: On the Rise of Nationalism. Foreign Affairs 51 (1972), 11–30. 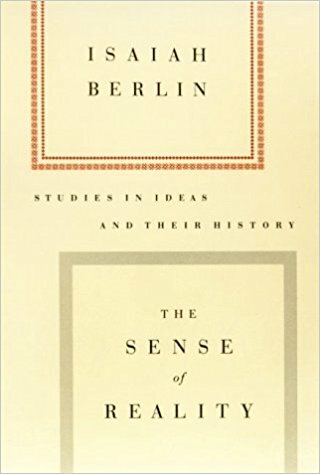 The Sense of Reality: Studies in Ideas and their History, ed. Henry Hardy, with an introduction by Patrick Gardiner. Chatto and Windus. London, 1996. Socialism and Socialist Theories. Chambers’s Encyclopaedia 1950, vol. 12, 638–50. A. W. Mellon Lectures in the Fine Arts, 1965. Edited by Henry Hardy. Princeton University Press; Princeton 1999, 2000. The Philosophers of the Enlightenment. Introduction in The Age of Enlightenment: The Eighteenth-Century Philosophers. Houghton Mifflin, Boston 1956. One of the Boldest Innovators in the History of Human Thought. (Vico) New York Times Magazine, 23 November 1969, 76–100. 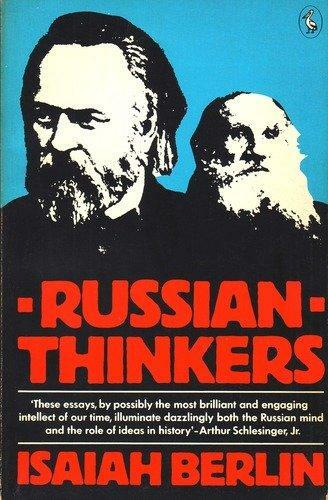 Russian Intellectual History. Introduction to Marc Raeff (ed. ), Russian Intellectual History (New York/Chicago/Burlingame, 1966. The Man Who Became a Myth (Belinsky) Listener 38 (1947), 23–5. A Revolutionary Without Fanaticism. 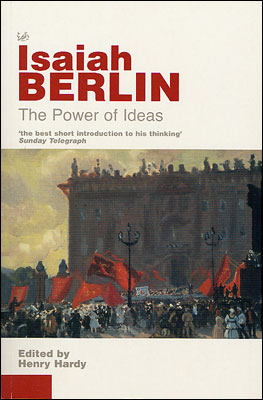 Introduction to Alexander Herzen, From the Other Shore and The Russian People and Socialism. London, 1956. The Role of the Intelligentsia. Listener 79 (1968). The Philosophy of Karl Marx. ‘Marx’, in J. O. Urmson (ed. ), Concise Encyclopedia of Western Philosophy and Philosophers. Hutchinson, London 1960. ‘The Father of Russian Marxism’ (Plekhanov), Listener 56 (1956), 1063–4, 1077. The Origins of Israel. ‘Israel: A Survey’, in The State of Israel (London, 1953: Anglo-Israel Association), 42–55. ‘Jewish Slavery and Emancipation’, Jewish Chronicle, 21 September 1951, 17, 24; 28 September 1951. Chaim Weizmann’s Leadership. ‘Men Who Lead’ (on Chaim Weizmann), Jerusalem Post, 2 November 1954, 5, 6. Meinecke and Historicism. Foreword to Friedrich Meinecke, Historism: The Rise of a New Historical Outlook, trans. J. E. Anderson. General Education. Foreword to Michael Yudkin (ed. ), General Education: A Symposium on the Teaching of Non-Specialists (Harmondsworth, 1969. BBC broadcast lectures 1953: Producer: Anna Kallin. ed. Henry Hardy (London, 2002: Chatto & Windus. Princeton University Press, Princeton 2002. ‘A Visit to Leningrad’ (1945), The Times Literary Supplement, 23 March 2001, 13–15. A Great Russian Writer. Review of Osip Mandelstam, The Prose of Osip Mandelstam: The Noise of Time; Theodosia; The Egyptian Stamp. New York Review of Books, 23 December 1965. The Artificial Dialectic: Generalissimo Stalin and the Art of Government. O. Utis: ‘Generalissimo Stalin and the Art of Government’, Foreign Affairs 30 (1952), 197–214. Soviet Russian Culture. 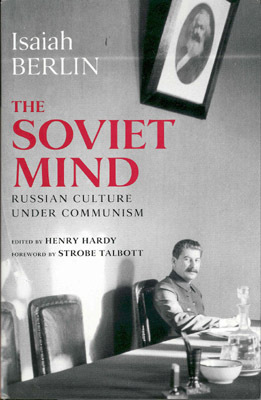 ‘The Silence in Russian Culture’, Foreign Affairs 36 (1957), 1–24; ‘The Soviet Intelligentsia’, Foreign Affairs 36 (1957), 122–30. Manuscript based on the Mary Flexner Lectures, Bryn Mawr College, Pennsylvania, 1952. Political Ideas in the Romantic Age: Their Rise and Influence on Modern Thought, ed. Henry Hardy, with an introduction by Joshua L. Cherniss. Princeton University Press 2006.